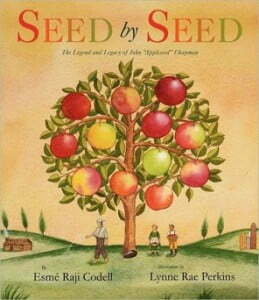 A unique variation of the typical Johnny Appleseed story. This book is a beautifully illustrated compilation of information about John Chapman, and why his legacy should matter to people today. The book ends with an invitation to “make our country and our world a better place,” as Chapman did — “seed by seed, deed by deed” — and a recipe for apple pie.